Fondant unicorn cake with light pink and gold accenting and buttercream mane. 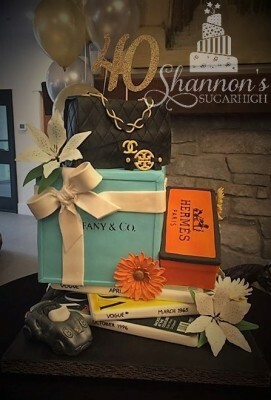 Vogue magazines, Porsche model, Tiffany box, Hermes box, Chanel purse, Tory Burch bracelet, sugar flower accents. 3D Alex with armour, Minecraft cake, and Alex's sword with pixel effect. Buttercream cake with a wreath topper in a variety of flowers and colours. Set of buttercream sheet cakes with fondant accents. Chewbacca on left, Stormtrooper on right. 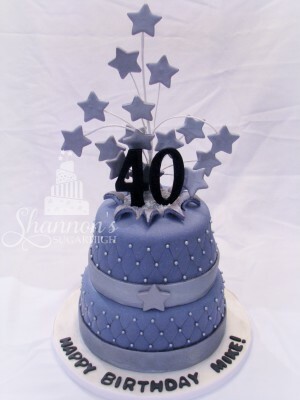 Fondant covered "galaxy effect" cake with Yoda and Death Star cake toppers. Gum paste Yoda and fondant covered Rice Krispie treat Death Star toppers with airbrushing. Bulbasaur and Ivysaur fondant characters on a green buttercream petal effect cake with airbrushing. Personal sized Star Wars cake with buttercream petal effect in orange with an edible cake topper. Personal sized Rapunzel cake with buttercream roses in purple with an edible cake topper. Buttercream cake with manger scene topper; angel, 3 wise men, Mary, Joseph, baby Jesus, and donkey. Gum paste Christmas manger scene topper; angel, 3 wise men, Mary, Joseph, baby Jesus, and donkey. White cake with navy white chocolate drip with meringue and silver candy accents. Light pink buttercream piggy face cake with fondant accents. 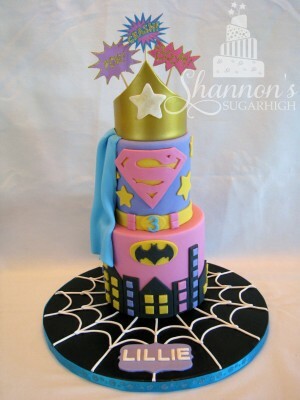 2-tier fondant covered cake: Spiderman board, Batman 1st tier, Hulk 2nd tier, and Capt. America shield topper. 2-tier fondant covered pirate theme cake with sugar paste treasure chest cake topper and sword through cake. Sugar paste topper for a pirate theme cake. Fondant covered Chase theme cake with sugar paste cake topper. 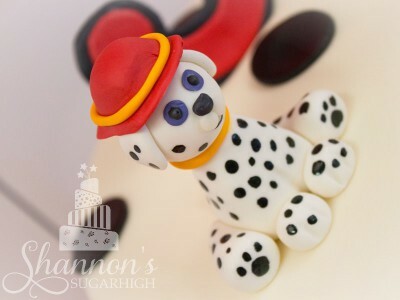 Sugar Paste figurine from PAW Patrol. White and pink with gold accents, and a white chocolate cupcake liner. Superhero cake for a child turning 4. Includes Batman, Superman, Spiderman, and 3D Hulk fist. 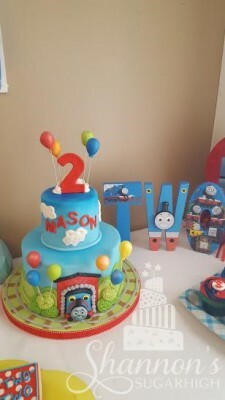 2-tier fondant covered Thomas cake with sugar paste balloon accents. Fondant covered 3D pumpkin cake with autumn leaf detailing and airbrushing. Dinosaur scene buttercream sheet cake with sugar paste dinosaur figures, trees, and volcano. Unicorn theme pink meringue drip cake with sprinkles, white chocolate drip, and colourful meringues, and a glitter cardstock unicorn topper. Watercolor effect buttercream cake in autumn colours with a rice paper flower. 2-tier fondant cake with Spot and Arlo sugar paste figurines. Top tier is modeled after the 'silo'. Buttercream cake with fondant Pikachu and accents. Fondant covered Lego Superhero cake with Lego Scooby & Shaggy sugar paste characters. Purple ombre "rose effect" cake with purple glitter cardstock "one". Fondant cake with edible image made to resemble Appetite for Destruction album. Disney Doc McStuffins 2-tier, fondant covered cake for a little girl turning 3. Disney Doc McStuffins and friends cake topper. Giant smash cupcake with a blue truck for a baby boy turning 1. Blue truck sheet cake with matching cupcakes featuring plane, train, and auto accents. Buttercream sheet cake in shades of pink, white, and gray. Fondant bow, eyes, beak, and foot accents. Buttercream cake with a "rustic" effect and a buttercream floral wreath. Cream colour buttercream ribbon cake with ruffle flowers, a flag topper, and gold airbrushing. Baby blue buttercream cake with butterfly and meringue accents in yellow, pink, and white. Blue buttercream cake with fondant skyline and batman symbol accents. Front: Pink ombre buttercream rose effect cake. 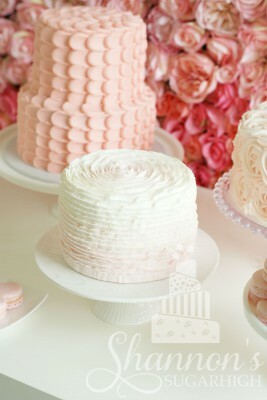 Back: 2-tier pink buttercream petal effect cake. Buttercream rosette cake as a bride/groom cutting cake. 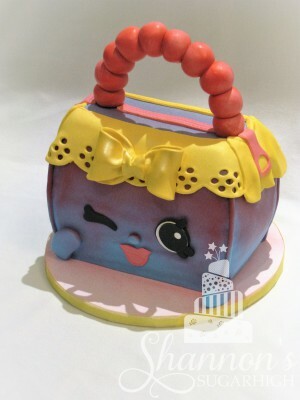 "Handbag Harriet" fondant covered sculpted cake with airbrushing. Pink meringue drip cake with confetti accents and meringue kisses and swirls. 2-tier fondant covered cake with fondant balloon accents. 2-tier airbrushed buttercream cake with toadstools, insects, butterflies, flowers, and fairies. Side View: 2-tier airbrushed buttercream cake with toadstools, insects, butterflies, flowers, and fairies. "Gelatin art" flower and fairy wings in purple as cake topper. Spiderman face cake frosted in red buttercream with black buttercream piping and fondant eyes. 2-tier fondant covered cake with zoo animals for a boy turning 1. Sugar paste giraffe holding the number 1. 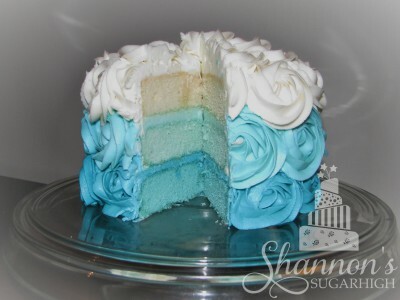 Cake layers on the inside are the same colours as the buttercream on the outside. Fondant covered with white chocolate candy legos. Name of child is in Lego font. Lemon cake with lemon curd filling, coconut frosting, and topped with lots of toasted coconut. Fondant covered cake with printed logo and Rice Krispie treat motorcycle cake topper. 3 tier "topsy turvy" fondant covered cake with monster truck Rice Krispie treat topper and airbrushed tire tracks. Buttercream cake with rolled wafers for logs and candy flames. Candle inside flames gives appearance of real fire. Two tier fondant covered cake with Sofia crown. 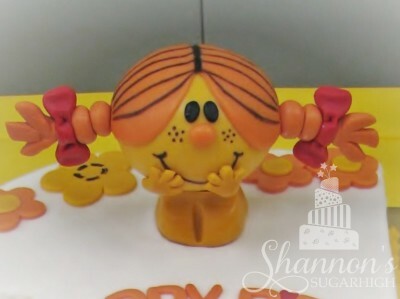 Includes large sugar paste bow and printed Sofia character. Sofia the First crown cake topper made using sugar paste and a Sugarcraft gun. White and light pink, with gold accents. White chocolate cupcake liner. Fondant covered and airbrushed vanilla sheet cake with vanilla buttercream for opening of fitness centre. Sheet cake with edible image of dog in black, white, and red buttercream and fondant dog bones. Rose effect buttercream cake in different shades of dusty rose. Buttercream rosette sheet cake in black, grey, white, silver, and gold. 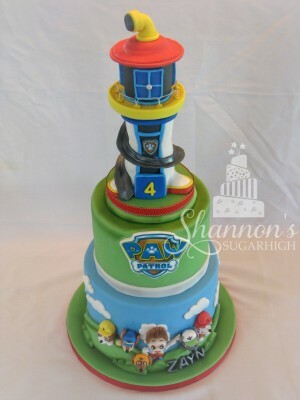 Fondant covered Paw Patrol cake for a child turning 4. Fondant covered vanilla sheet cake with vanilla buttercream for opening of fitness centre. Buttercream frosted martini sheet cake in hot pink, black, and white. 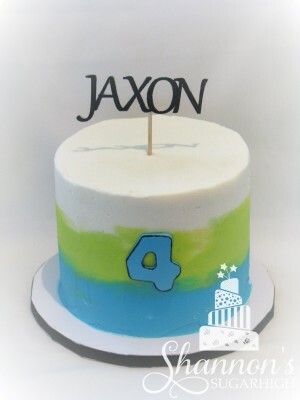 Seattle Seahawks jersey birthday cake with boy's last name and age. Buttercream with fondant accents. Chocolate peppermint cake, peppermint cream cheese filling, chocolate ganache, peppermint meringues. Buttercream frosted sheet cake and 4 mini-cakes with fondant accents. Buttercream with fondant accents for 3rd birthday. Includes "Bot" figurine & "fondant burst" effect. Sugar paste "Bot" character with age of child displayed on his "belly screen". Buttercream cake with fondant accents including Spider-Man, Iron Man, Wolverine, and The Hammer. Buttercream frosted with printed sugar sheet fondant accents to create city skyline. Buttercream cake with fondant accents in black, white, and green. Top / back view of buttercream soccer cake with fondant accents. Giant smash cupcake in orange ombre with gold and white accents, fall leaves, and pumpkins. Sugar paste fall leaves and pumpkins. Large pink buttercream ruffles with gum paste gardenias and buds. Gum paste gardenia arrangement with gardenia buds and pink buds. Buttercream frosted cake with fondant Minnie Mouse face and bow. Two-tier white fondant cake with black fondant and royal icing detailing and red roses on top. Red roses cake topper on a black and white wedding cake. "Moving Away" round cake in coral and teal with buttercream petal effect. 2-tier yellow and aqua cake with buttercream rosettes. Buttercream cake with a gum paste float plane, dock, and trees. Sheet cake with buttercream flower accents in white, pinks, and lavenders. Buttercream flowers in white, pinks, and lavenders. 2-tier buttercream cake with fondant chevron accents and gum paste elephant figurine with balloon. Gender neutral baby shower sheet cake. 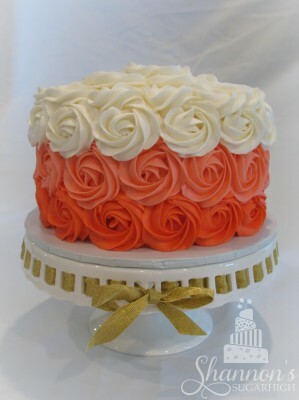 2-layer buttercream rosette cake in vintage pink. Sculpted, fondant covered Ace of Spades Champagne bottle with airbrushing. Close view of Ace of Spades logo. Black, white, & lilac 2-tiered buttercream cake with gum paste roses and butterflies. Black roses and lilac butterflies made with gum paste and airbrushed. Fondant covered with white chocolate candy Legos. Buttercream with fondant accents and princess printed on frosting sheet with edible ink. "It's a Boy!" 3-layer buttercream cake. Buttercream sheet cake with fondant accents and gum paste figurine. Fondant covered with gum paste figurines. Adapted from a cake from "Cakes by Dusty". 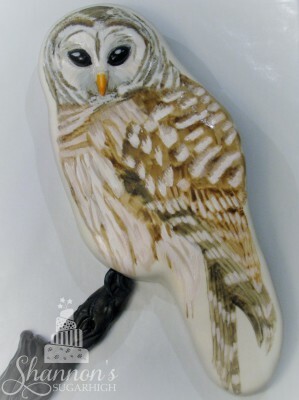 Fondant covered with airbrushing and gum paste figurine. Fire & Rescue 2-tier buttercream cake with fondant accents, airbrushing, and gum paste figurine. Buttercream with fondant accents and gum paste figurine for little girl's 1st birthday. 2-tier buttercream cake with fondant accents and gum paste bow for 2nd birthday. 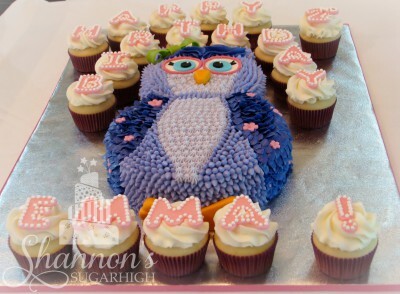 3-layer buttercream cake for girl baby shower. Fondant covered present cake for boy baby shower. 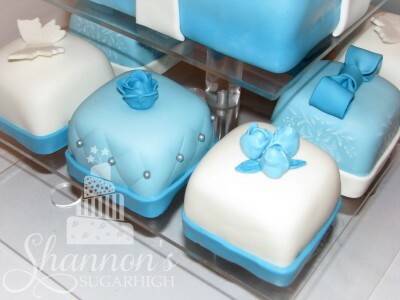 Breakfast at Tiffany's Theme fondant covered cake and mini-cakes with matching cupcakes. Breakfast at Tiffany's bridal shower theme. Fondant covered cake with hand-painted design. 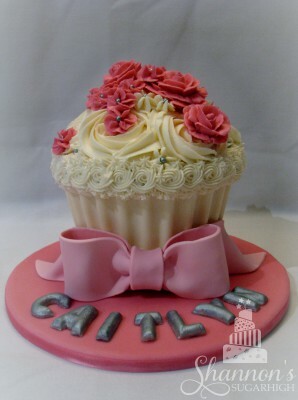 Buttercream flowers, white chocolate cupcake liner and gum paste bow. 2-tiered fondant covered cake with fondant "starburst" effect and quilting effect. 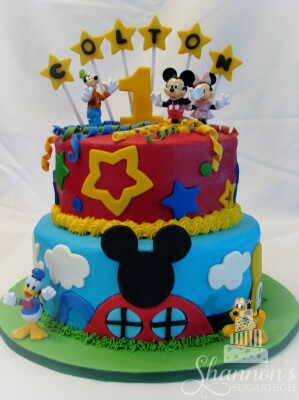 Mickey Mouse Clubhouse 2-tiered buttercream cake with fondant accents. Piped buttercream with fondant accents. Buttercream petal effect smash cake in pastel colours made to accompany unicorn cake. 2-tier buttercream cake with ombre purple rosettes, picture of Sofia, crown, and glitter cardstock topper. 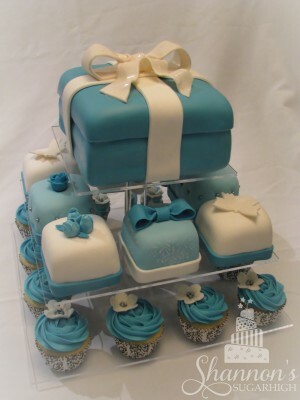 2-tier fondant covered birthday cake. Top tier is light pink, bottom tier is white with black and gold stripes, 3D gold detailing. 2 ft. high gold Champagne Bottle cake to celebrate a 60th birthday. Modeled after Ace of Spades Champagne bottle. 2 tier cake with rustic buttercream effect in dusty rose and peach, with a chocolate nest topper. Smash cake to match the Rustic Bird's Nest cake with buttercream flowers, leaves, and pine cones. 2 tier flower cake with rustic effect buttercream and assorted flowers in pink, cream, grey/black accents. 2 tier fondant covered Thomas cake with 3D fondant balloon accents. Fondant covered NERF cake with 3D dart accents. 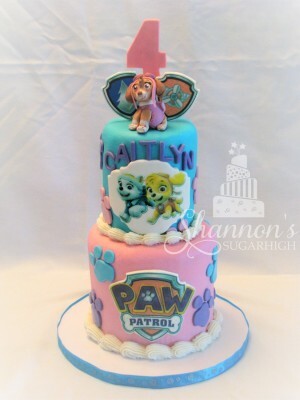 Fondant covered PAW Patrol cake with toy figurines. 3 tier fondant covered cake with crown topper. 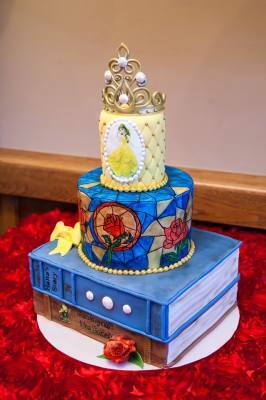 Picture of Belle, stained glass effect, sugar paste rose and bow. Fondant covered GOT cake with metallic colours and Iron Throne topper. 2-tier buttercream cake in pink, teal, and purple with Skye and Everest characters. 6" round fondant covered cake with edible crest. 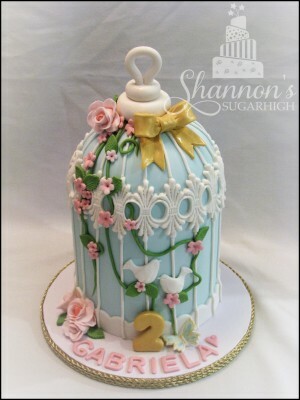 2-tier fondant covered cake with Lookout topper. 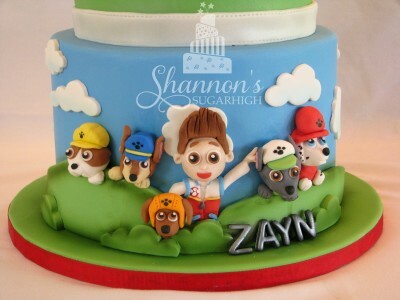 Character details on bottom tier of Lookout cake: Rubble, Chase, Zuma, Ryder, Rocky, and Marshall. 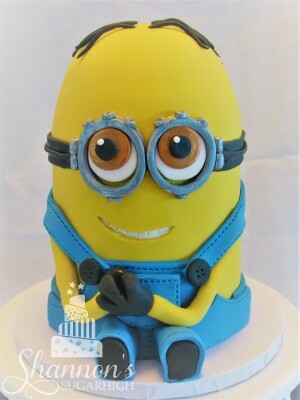 3D sculpted, fondant-covered Minion cake. Colours of pink, purple, yellow, blue, and black. Inclues Spiderman, Batman, Superman, and Wonderwoman. 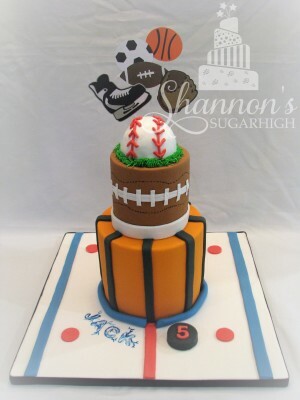 2-tier fondant covered sports cake includes ice hockey, basketball, football, and a mini baseball cake topper. Flower, butterfly, and vine accents in colours of aqua, pink, white, and gold. 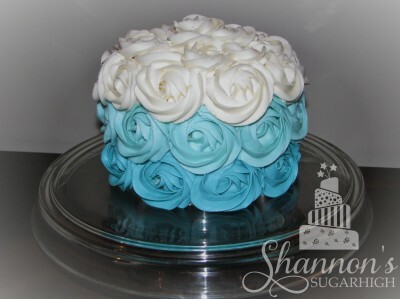 Round buttercream cake in blue, green, white, & black. Blending of colours gives watercolour effect. 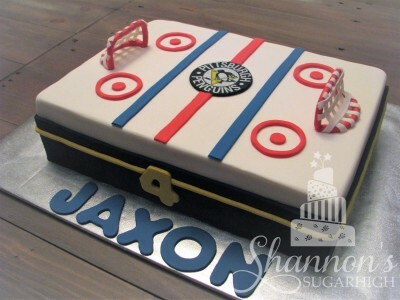 Fondant covered sheet cake with Pittsburgh Penguins theme and sugar paste hockey nets. 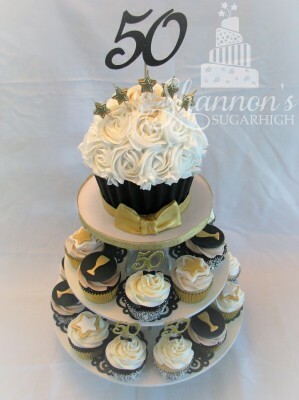 Cupcake display with giant cupcake on top in black, white, and gold.